Andrew Keys, a landscape designer and blogger, didn’t sign-up for Twitter with the intention of launching a writing career. In the spring of 2009 Andrew hesitantly created his @oakleafgreen Twitter account after a bit of coercion from a friend who told him it would be a great place for him to promote his landscape design firm. So Andrew set out trying to find the value of Twitter for his business. What he found were people in his industry talking shop and learning from each other. Intuitively, Andrew made smart connections. He followed people in his industry, including editors at gardening magazines. He stayed engaged, nurtured relationships as they developed and subsequently his investment of time resulted in an invitation to contribute to a national gardening magazine. Three articles later and Andrew has added “freelance writer” to his resume. I asked Andrew if he could offer some advice to other writers who would like to use Twitter to network and perhaps even pitch a story. He quickly recommended starting with research. Even more connections followed from those initial relationships. I’ve recently signed up for Posterous, a lifestreaming site that may very well be the next shiny Web 2.0 tool. What is lifestreaming, you ask? It’s a way of aggregating your life — photos, videos, articles and blog posts — in one place. In a recent post, I say lifestreaming can be thought of as a linear, time-based scrapbook. A Web 2.0 version of “Being John Malkovich,” sort of. 1. First, go to the Posterous registration page. Select your URL — e.g. YourNameHere.Posterous.com is the default, but you can install Posterous as the CMS on your personal blog — as well as your password. Enter your contact e-mail address. One word of advice: Use an e-mail account that you can access from your mobile device easily; this way you can upload photos and videos directly to your page, instead of just using SMS for the posts. Be sure to fill out your profile completely. Add a bio and a photo, because if you don’t, your page’s sidebar will appear quite sparse. Now create some test posts, like I did here and here, just so you can get the hang of it. 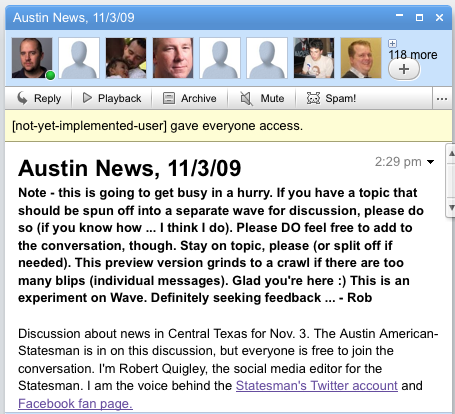 If you have the iPhone 3.0 software, you can even upload your audio recordings directly to the site by e-mailing them to post [at] posterous [dot] com. 3. Add the “Share to Posterous” link to your browser. 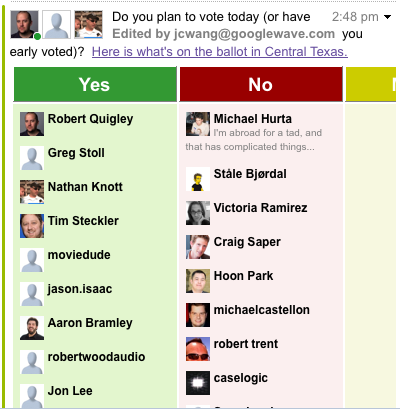 This will make it easy for you to take any content you want from the Web and post it directly to your Posterous site. Go to this page, scroll about halfway down, and literally drag the button to the top of your browser. 4. Share/post a photo or video through the bookmarklet: To share a photo or video, just open up the URL for the photo specifically, like this stunning picture of yours truly or this classic Michael Jackson music video. 5. Share/post a story through the bookmarklet: Say there’s a story you want to share on your Posterous page. Simple enough. First, find the URL for what you want to share. Then click on the Posterous bookmarklet. A similar window will pop up. If the story has one main graphic, it will automatically show up in the box. If the page has multiple graphics, you’ll be able to cycle through them. If you don’t like any of them, just click on the picture — the HTML code will show up — and just delete it. Add some text below the graphic, and be remember to give your post a title. You should end up with something like this. 6. Post content via e-mail: Just open a blank e-mail — it must be from an account you registered on Posterous — and enter your headline in the subject box. Now enter the body text as the main e-mail message. Send it to post [at] posterous [dot] com. Post via SMS: Just write be sure to write the word “POST” before the text you want to be your headline. Text it to 41411 and you’ll get something like this. Unfortunately, your post won’t have any body text initially, just a headline. You can always go back and change this later, though. NOTE: One thing — if you post via SMS, your full text will appear, but the post URL seems to have an 81-character limit. Post via e-mail: just open a blank e-mail and send it to post [at] posterous [dot] com. Your post headline will go in the subject box and the body text will go, well, in the body of your e-mail. You can also send cell phone photos via e-mail. If you’re using an iPhone, first make sure you upgrade to iPhone 3.0 software. Open your Camera Roll, select one or multiple photos and “Copy” them. (You can do this with the upgraded software.) Then open a new e-mail and “Paste” the photos into the body of the e-mail. To add text above the photos, just type it above the first photo. Your final post will look like this if you have one photo or this if you have multiple photos. Nifty, huh? 8. Now it’s time to link Posterous to your social media accounts. Posterous allows you to link your profiles on Flickr, Twitter, Facebook, YouTube, Vimeo, as well as your WordPress, Blogspot or Xanga-powered blog for either automatic or select syndication. Just click the “Add a service” button at the top of the page, and Posterous will set it up almost automatically. If you only want to post to one page, just e-mail your posts to [name of the service] [at] Posterous [dot] com. And if you like the service so much, you want to pull in your current blog and switch platforms, you can import your existing posts to Posterous. Please let me know if I left anything out of this post, and let us know if you like Posterous as much as we do. New Tricks: Does a re-tweet equal an endorsement? When I raised concerns this week about the practice of tweeters who openly identify as professional journalists re-tweeting without verification, in the context of the indiscriminate dissemination of tweets claiming to emanate from Iran, I found myself engaged in a lively discussion on Twitter. I asserted that when Patrick LaForge, an editor at the New York Times, re-tweeted (without acknowledgement of verification or absence thereof) a list of Iranian tweeters sourced from expert blogger Dave Winer (who had, in turn, passed on the list without verifying its contents) it amounted to an approval of that list, LaForge disagreed. NYU’s Jay Rosen then reminded me not to expect open systems like Twitter to behave in the same manner expected of editorial systems. But while I agree with Rosen, my concern wasn’t directed at the unmediated Twittersphere. Rather it was directed at the way journalists approach this flood of information. I learned this lesson firsthand from James Janega, one of my reporters when I was over at Tribune Interactive. Last year, when he was down in New Orleans covering Hurricane Gustav on James quickly defused a rumor that was swirling around about residents without identification not being allowed to evacuate the city. Since Gustav was the first large hurricane to strike New Orleans since Katrina, this had the potential to be an incendiary story. So here’s a quick poll for you: Do you think a re-tweet equals an endorsement? Why? What’s your take?